Kevin R. Bruning concentrates his practice in the area of complex commercial litigation involving primarily real estate and business related disputes. He handles complex business negotiations, trials and civil proceedings. Mr. Bruning received his undergraduate degree from the University of Florida in 1994. He received his Masters in Business Administration from the Crummer Graduate School of Business at Rollins College in Orlando, Florida and he received his Juris Doctor, with honors, from Stetson University College of Law in 2000, where he served as the Digest Editor of the Stetson Law Review. He is admitted to practice in all Florida State Courts as well as the Middle District of Florida and the Eleventh Circuit Court of Appeals. Mr. Bruning is the Immediate Past Chairman of the Sarasota County Historic Preservation Board, having served on that board approximately six years. Mr. Bruning is the Past President of the Sarasota County Bar Association and has been awarded Martindale Hubbell's AV rating, the highest rating awards. 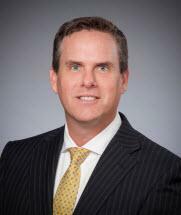 Mr. Bruning has been recognized as a Legal "Up & Comer" by Florida Trend Magazine.